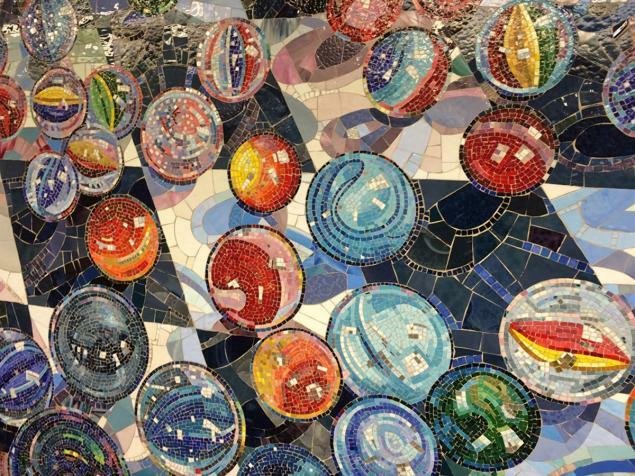 » At the Times Square–42nd Street subway stop in NYC you can take in this ^^ beautiful mosaic by artist Lisa Dinhofer. » Move over subway pizza rat and hello subway bagel rat! » Watch this video! (Be sure to wait until the passenger chimes in) Warning, colourful language! » Washington Metro turns the big 4-0! » Hillary had some trouble using the NYC subway – She should visit us, tapping a Compass Card is a breeze! » ^^ Of course SNL had to have a crack at poking some fun. » Rubber ferry, you’re the one! You make bath time so much fun! » BCIT’s, Evolution 107.9 radio’s Harrison Jewell spoke about TransLink and how we compare with other transit authorities in North America. » I admit, I’d probably do a double take at some of these books being read on the train! » You know what really grinds GO transit users’ gears? Take a look! » More than one fifth of U.S. urban residents use public transit regularly with NY, LA and Chicago topping the list. » Another month, another superhero bus operator – this time in Calgary. » Did you know that Cincinnati has a secret, unused subway? Neither did I! » From bus to food truck (looks like one of our community shuttle vehicles!) offering fresh produce at reduced rates for low-income families in Toronto. What a great idea! » Looks like Halifax has the same idea – full sized bus this time though! » Hold onto your hats because TransLink’s own Pet Peeves transit etiquette campaign is making worldwide headlines by being featured at the New York Transit Museum! » Another beautiful transit relic saved in London! Take a look at the Crystal Palace. » One of my greatest fears – becoming a meme! The late, great David Bowie’s son turned this man into an viral internet sensation! » So, this is what it feels like… when doves cry. What a fitting tribute! » Much Shiba. Very transit doge. So subway. » Posts like this are my bread and butter. I LOVE secrets and transit secrets are even better! » Ever wondered why you get sleepy on the train or bus? Looks like there’s an answer! » Mexico City has nearly 200 different transit signs on their system. They even tweet out the meanings for passengers. For example! 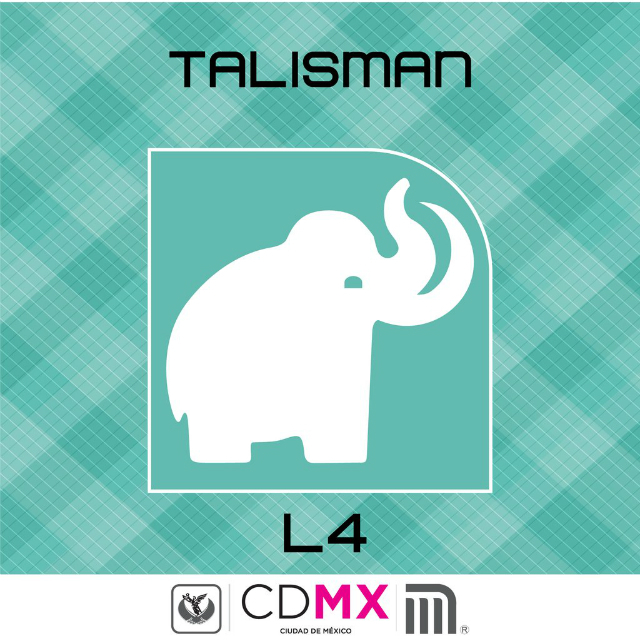 Why is Talismán station represented by a mammoth? Because workers discovered the remains of one while excavating the site! » Our region is hot. I mean H-O-T! Especially when it comes to transit. Check out how we show up on this heat map of Metro Vancouver transit users! » The man who voiced the “mind the gap” announcements in London’s Underground has passed away. But his wise yet stern voice will remain helping tube riders for generations to come! » What an amazing tool! All Transit allows you to gauge how well-connected any spot in the United States is by public transit! » It’s a museum! It’s a nuclear bunker! 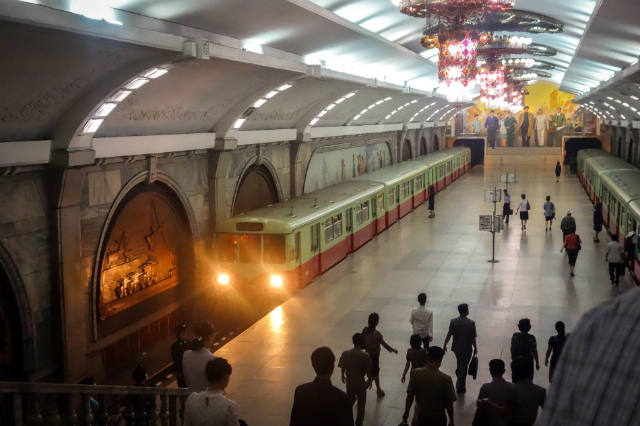 It’s North Korea’s subway system! Puhung Station was one of only two metro stations foreign visitors were allowed into before 2010. » New Subway ads that KNOW who is looking at them. Creepy or cool? You decide!